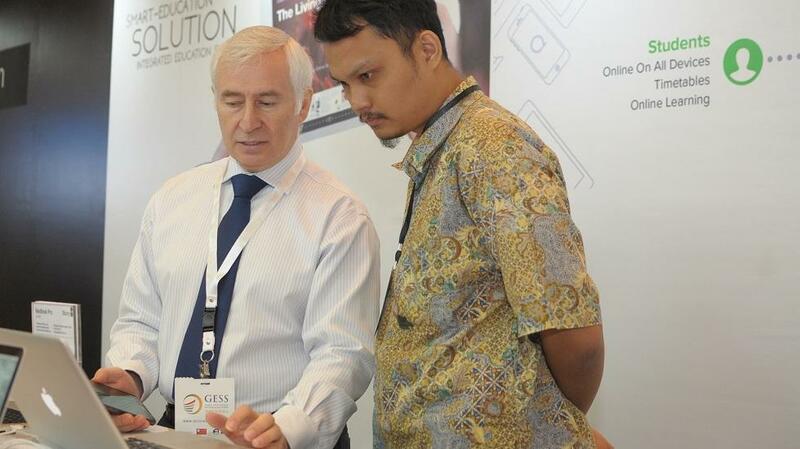 Jakarta, Indonesia; 07 August 2017 – Indonesia is among the top countries in Asia to adopt mobile learning technologies in schools which will be a key focus of GESS Indonesia, the largest education show and conference in Southeast Asia that will be hosted by Jakarta from 27-29 September 2017. An industry report prepared by Ambient Insight estimates Asia will be spending at least $7.7 billion in mobile learning apps and technologies, up from $4.5 billion a few years back. Indonesia will be the third highest country spender in Asia, just behind China and India. This growth is being driven by increasing smartphone penetration in Indonesia, which stood at 47% last year. “There is a tremendous demand for early childhood learning edugames and language learning apps throughout Asia, a phenomenon that is seen particularly in Indonesia, where based on our research around 67% of children between the ages of 8 and 18 already have mobile phones, out of which 27% have smartphones,” said Matt Thompson, Project Director, F&E Education, organisers of GESS Indonesia which will take place at the Jakarta Convention Center. In light of this emerging trend, GESS Indonesia is introducing a strong line up of workshops and sessions focused on mobile learning related technologies to aid the growth of mobile learning and the development of mobile learning apps in Indonesian schools. Part of the EdTech feature of the show, some of the sessions include Hour of Coding Facilitation, Android Apps and Gadgets in the Maths Classroom.School teachers, principals and parents will also benefit greatly from the Creating Edu-Games the Easy Way session which will allow them to develop, from scratch, fun and informative games that students can use in classrooms and at home. A seminar on Turning Game Addiction into Learning Addiction is also part of the EdTech sessions that will help enable teachers and parents leverage the influence of gaming on students for more instruction and productive uses. GESS Indonesia will also be hosting the Millennia 21CA Teacher Award to recognize Indonesian educators who are successfully implementing 21st Century Skills in their educational learning activities. “This is part of our efforts to support the growth of advanced learning methodologies in Indonesia. This competition is open to all teachers from any school, private or public, and Millennia-related schools will be strongly encouraged to join,” added Thompson. The award will be given during the GESS Indonesia conference and exhibition, and will feature a top prize of IDR5 million for the winning teacher. Now in its third year, GESS Indonesia features more than 100 sessions, workshops and presentations covering a variety of topics and themes designed to enhance the quality of classroom teaching and learning; along with a wide variety of products and solutions from leading educational suppliers from all over the world. The show is free to attend, and is now open for registration via www.gessindonesia.com.